Stargardt’s disease, also known as fundus flavimaculatis, is the most common form or inherited juvenile macular degeneration. Most people suffering from Stargardt’s disease are diagnosed before the age of twenty. By the age of fifty, most patients will be legally blind, having a visual acuity of 20/200 or worse. Individuals with Stargardt’s receiving MicroAcupuncture treatments experience the same positive results as the macular degeneration patients. 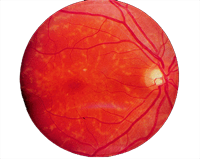 The disease behaves very much like dry macular degeneration, and responds to treatment similarly, although it is generally not complicated by neovascularization. Over the years, many Stargardt’s patients have benefited from MicroAcupuncture treatments at the MicroAcupuncture Center. Patients coming to the clinic for treatment of Stargardt’s disease range in age from five to over sixty years old. With many Stargardt's patients being very young we have developed a special non-burning laser to treat with instead of needles. We believe the anxiety and tension that young patients have towards the needles counteracts the treatments, and it seems the laser works well on young patients up to about 14 years of age. When you suffer from Stargardt’s there are some things you as a Stargardt’s patient can do yourself to slow down the progression of the disease. When you combine positive lifestyle changes and provide your body with necessary vitamins and minerals, you will "see" the difference. 3. Take a good vitamin/mineral supplement, we recommend MicroAcupuncture Vision Support, and in addition to that you should take 1200 mg of Lecithin a day, which helps with your cholesterol buildup. Take a good fish oil, to maintain good blood quality we recommend Supra Krill from the cold pole waters, which is free from pollutants. 4. Make it a habit to exercise at least 30 minutes every day, drink at least 64 ounces of water a day, and try to be lean with the salt throughout your meals. Stargardt’s starts with plaque buildup in the arteries, so protect your eyes the same way you would protect your heart. 5. To monitor the development of Stargardt’s, you can get vision field scans, this will map the area and severity of the damage you have. You can have an amsler grid test to check for changes within the eye from "dry" to "wet" macular degeneration. You can also have a near visual acuity card test to check your vision in reading distance (18”) on a regular basis. You still have to keep up with your regular appointments with your ophthalmologist. For more detailed information about the nutrition for Stargardt’s, see our Macular Degeneration Nutrition page. * Since Stargardt’s and macular degeneration are so similar, they follow the same suggested nutritional program, however since most Stargardt’s patients are younger and have smaller body sizes, the dosages of each vitamin/mineral supplements will be smaller. Result from treating Stargardt's with Micro Acupuncture.